On the surface, it was the kind of interaction that happens every day at Mayo Clinic. A Mayo employee walks into the Generose Building on Mayo's Rochester campus, where he greets a patient and asks how she's doing. The patient notes that she's "doing OK" but is "a little sad" she won't be home for the holidays. She also suggests that the lack of "outside lights at Generose" wasn't helping her spirits. That might have been the end of it. Perhaps with an understanding smile and nod, and well wishes, the employee might have gone on his merry way. But our friend (who asked to remain anonymous) saw an opportunity. He called Stan Larson and Tom Behrens in Facilities to ask if there was anything that could be done to add lights to the outside of Generose. Specifically, he asked if they could have lights put on "just one" of the trees at the entrance to Generose. They did him one better. Well, several better. 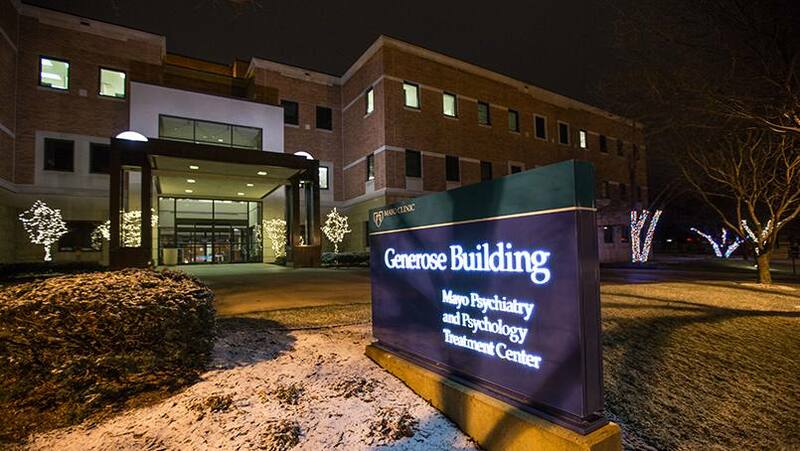 Instead of "just one tree," Behrens says the crew that does Mayo's holiday lighting strung lights on every tree leading up to the entrance of the Generose Building. "That's what I love about Mayo Clinic," Behrens says. "It's such a small investment in the grand scheme of things, and I hear someone talk about how nice the lights look almost every day." 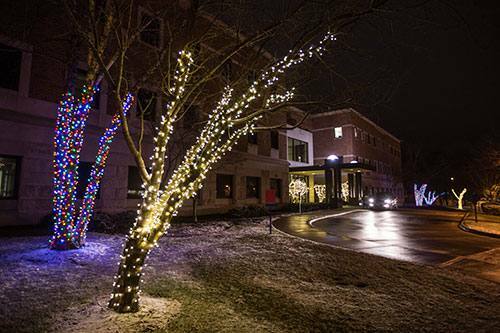 While our friend never got the name of the patient he met at Generose, he tells us he hopes the lights bring as much holiday joy to her as they do him. "The mystery of not knowing her name is what makes the kindness of the Facilities staff so special," he says. "To see those lights the next day brought tears to my eyes, and truly represents the season of sharing." You can light up our lives by sharing your comments below. You can share this story with others by using the handy social media tools. Thanks to the lighting crew; I cannot think of a more important area to have holiday lights than Generose. Fighting mental illness needs every little perk it can get. The collaboration of Mayo Clinic employees that brings the small things for patients to fruition.